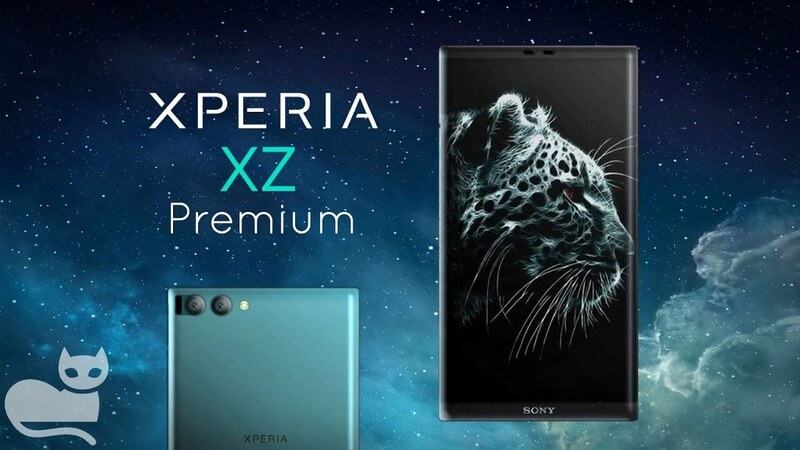 Sony recently announced their latest smartphone device, the Sony Xperia XZ Premium, in Barcelona, Spain at the Mobile World Congress (MWC) 2017. For those of you who missed out on the announcement, Sony unveiled the specifications of the device and what it would be capable of. Well, Sony seems to have outdone themselves this time by implementing a 5.5-inch screen with exclusive 4K and HDR display capabilities. In addition, the device comes with the brand new Qualcomm Snapdragon 835 processor with an Adreno 540 GPU. Including 4GB RAM power and a massive 3230mAh battery for long time use. The main feature that sets it apart from any device coming out is the implementation of a full on Slow-Mo camera. Sony kept promoting their latest innovative feature, which let’s be honest, sounds pretty cool just thinking of the prospect of it, their super slow-mo camera. Nicknamed the ‘Motion Eye‘, the 19MP Exmor RS sensor can capture and record up to an insane 960fps (frames per second). In retrospect, most phones can only capture and record at 240fps. This is the very first time a phone is capable of shooting at such high frame rates. Therefore the implementation of this technology will surely see a huge amount of photography and tech enthusiasts lining up at tech stores just to get their hands on one of these. The camera also comes with a feature called the ‘predictive capture‘, which starts to capture images before the user has even hit the shutter button to make sure the shot is taken. In addition, it also has the standard triple sensor array and hybrid autofocus that came out with the XZ version of the device. What sets the Sony Xperia XZ Premium from the standard Xperia XZ is also the casing that it’s been placed in. The Sony Xperia XZ Premium comes fully plated with a Gorilla Glass 5 casing, front, and back. The device has also kept most, if not all, of its features from the standard XZ version previously released. Therefore, this implies that the Sony Xperia XZ Premium is also water-resistant and will still carry out the adaptive charging capabilities. Sony is without a doubt going into the right direction with their smartphone devices, it is yet to be seen how well the device will do upon release, however, it is a given that enthusiasts will want to pick up the device for on the go photography and cinematography. Moreover, a feature like this will be a major selling point to regular buyers as well. After all, who doesn’t like a super slow-mo zoomed in a video of objects flying and moving about? Prices of the device are still yet to be confirmed and announced.